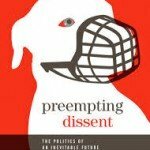 Public dissent by directors should be encouraged, not penalized. If we don’t learn where directors stand on the issues and how they differ from each other, how do we know who to vote for? Two actions by CalPERS fifteen years apart are instructive. 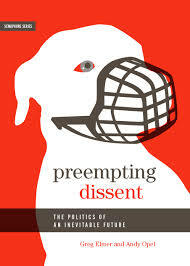 The influential trade publication, Pensions & Investments (P&I), published an important editorial in its October 27, 2014 edition entitled, Suppression of dissent shouldn’t be a core value. P&I criticized a recent action by the CalPERS board to discipline one of its directors for speaking out for publicly dissenting on the merits of a recent staff appointment. That action sets a very bad example with regard to corporate governance and dissent by directors at public companies. Using the prestige or influence of the state or the appointing authority for the officer’s or employee’s private gain or advantage or the private gain of another. Staff allowed the president to rewrite his candidate statement after reading mine, even though regulations clearly prohibited any such edits. I had criticized him for accepting gifts and for other behavior, which I believed to be unethical. The election wasn’t overturned because the rules required demonstration that I would have won, had the violation not occurred. While that rule may protect against ballot stuffing, it doesn’t protect against compounded unethical behavior. Fortunately, the Sacramento Bee ran an editorial critical of the board’s action and it was rescinded. I hope the P&I editorial also results in rescinding the board’s latest attempt to muzzle dissent by directors. Boards of directors are like subatomic particles–they behave differently when they are observed. CalPERS’ reprimand of a board member for publicly criticizing the hiring of Theodore “Ted” Eliopoulos as its chief investment officer is unacceptable. The California Public Employees’ Retirement System is, after all, a public institution. As a result, it needs to act in a transparent manner. In elevating Mr. Eliopoulos, it was not as forthcoming as it should have been in describing the board’s decision. It was a unanimous vote for sure as CalPERS described the tally. But not all CalPERS board members were in agreement on the appointment. One of them, J.J. Jelincic, challenged the board’s decision and Mr. Eliopoulos’ capability, as reported byPension & Investments in a Sept. 29 story. Mr. Jelincic, on paid leave from his position as a CalPERS investment officer while he serves on the board, is prohibited from voting on issues that might raise a potential conflict of interest. But what is uncivil about speaking out? As fiduciaries, the board is supposed to work in the interest of participants, who deserved a full hearing of issues. Taxpayers, who help finance the pension benefits, deserve to know how the board is working in their best interest to meet the objective of paying pension promises. In the long term, public pension funds depend on participant and public support. CalPERS must do more to bolster that support. The chief investment officer is one of the top leadership positions at CalPERS. The board should have ensured the decision-making surrounding selection for such a post was open, especially with CalPERS emerging from a cloud of corruption and the resulting challenges to its credibility. Federico Buenrostro pleaded guilty July 11 to accepting bribes to steer the pension fund to invest in particular private equity investments while he was CalPERS’ CEO. The Jelincic censure can leave participants and the public wondering to what extent the CalPERS board encourages discussion. The board should encourage other viewpoints. In fact, CalPERS in its effort to improve corporate governance encourages selection of independent board members who will not rubber-stamp management decisions. But with CalPERS’ reprimand of Mr. Jelincic, that objective is meaningless. The reprimand also does a disservice to Mr. Eliopoulos. Mr. Jelincic’s public dissent cast a shadow on the appointment. CalPERS should have encouraged discussion to clear it up. CalPERS must assure participants and the public it has vetted its staff, especially its leadership, to mitigate chances of recurring corruption. In fact, concern about identifying fraud and misconduct led CalPERS to create a whistleblower hotline in 2010. But so much for “whistleblowers” like Mr. Jelincic, who went public with his concerns. The board’s reaction will deter others from stepping forward. The board supposedly has a policy calling for it to be “open and accountable to stakeholders,” but instead seems to have a policy of suppressing dissenting viewpoints. Clearly, the policy needs revision to ensure the board is giving proper consideration and airing of all opinions. “Self-serving” is what one critic called the vote last week to sharply limit what candidates for the California Public Employees Retirement System board can include in their ballot statements. Certainly, “self-serving” is one word that characterizes that vote. “Anti-democratic,” “chilling” and “wrong” are among the others. Membership in this case means more than 1 million state and local government workers and retirees — the people whose $155 billion pension fund the powerful CalPERS board directs. How do CalPERS members benefit from ballot statements stripped of any information about what candidates for the pension board think about issues affecting their pensions? Campaigns for the pension board are not public in the ordinary sense. Voters include retirees and state and local government workers spread across California. Most of the information about the campaign and candidates comes from union newsletters. So the ballot statements are one of the few avenues candidates not endorsed by the major unions have to reach public employee voters. The vote by CalPERs incumbents muzzles challengers in ways that risk creation of a permanent board: unaccountable, untouchable and isolated from the people who elect it. A little history is instructive here: Last year, CalPERS board candidate Jim McRitchie mounted an aggressive but unsuccessful challenge to CalPERS board President William Crist. Among other things, McRitchie wrote in his ballot statement that Crist “had accepted gifts from those doing business with CalPERS.” No one challenged the truth of McRitchie’s ballot statement, but it infuriated Crist. In what an official protest panel later ruled as “arguably a technical violation of board rules,” incumbent Crist was allowed to amend his own ballot statement after the deadline to respond to McRitchie. Members of the board who voted against the censorship measure were Treasurer Phil Angelides, Controller Kathleen Connell, the director of the Personnel Administration Marty Morgenstern (an appointee of Gov. Gray Davis) and Michael Flaherman. Those who voted to deny candidate ballot information to pensioners and state and local government workers were William Crist, Charles Valdes, William Rosenberg, Robert Carlson, Joseph Thomas. Thomas Clark, Mike Quevedo Jr. (an appointee of the speaker and Senate Rules Committee), Ronald Alvarado and Rob Feckner. CalPERS is required to seek public comment on the rule changes. The public should protest loudly and clearly. (Update: The violation by Crist and CalPERS staff was hardly a “technical” violation. It was a violation clear and simple – one which was never allowed before or since. Thanks, in part to the Bee’s editorial, McRitchie and others were able to get the Board to rescind the proposed regulations to muzzle critics. Just to clarify, I have no position on Mr. Jelincic’s statement — only on his right, and that of all directors to speak freely without fear of retribution.